In the wake of Superman’s death, the ancient villain Steppenwolf returns to Earth, intending to use three Mother Boxes to transform the earth into a desolate place. 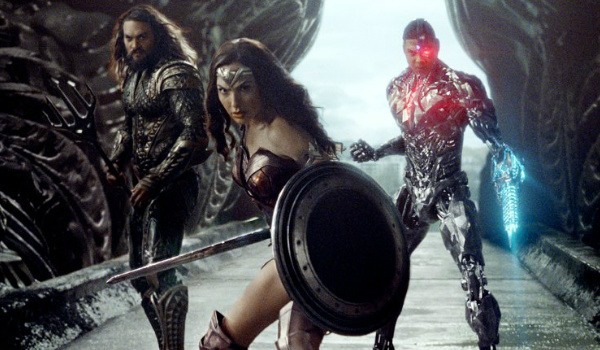 Batman, Wonder Woman, and the Flash eagerly join forces to save the world, and are later joined by Cyborg and Aquaman. When it is apparent that their combined efforts will not be enough to defeat Steppenwolf, they consider a frightening solution – they must use the chaotic power of the Mother Boxes to resurrect Superman. Superman is reborn, and his powers do return immediately, but he does not remember who he is. To be effective for the forces of good, Superman must first remember who he is. One character visits his father in prison; his father expresses, “I want you to stop coming to see me; I am a drag on your life.” This deeply hurts his young adult son, who continues to try to vindicate and impress his father. Aquaman does not know his mother. Another character tells him that she knew her; Aquaman replies, “That makes one of us. Mom left me without a second thought.” The other character replies that his mother “left you to save your life,” and then says that because he is related to her, he must fulfill the role his mother once filled. Superman does eventually remember who he is when he is greeted by Lois Lane. His mother also finds him and tearfully embraces him. Some frightening monsters, violence (a character appears to have his robotic leg ripped off,) and an attempt by a terrorist group to plunge the world “into the dark ages” could scare some viewers. The resurrection of Superman, and a scene in which two heroes dig up his coffin, could be uncomfortable for some, and it could be triggering for viewers with issues of unresolved loss. Aquaman says that he was abandoned by his mother; this is left unresolved. A character’s father is kidnapped. 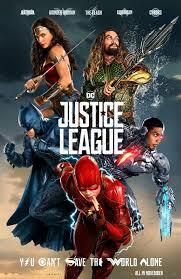 Justice League captures that hope is real, and that life is worth living even after loss or trauma. Some frightening aspects might make it a bad choice for young or sensitive viewers, and certain aspects of the story could brush up against issues of abandonment (Aquaman briefly says that his mother abandoned him) or loss (Superman’s casket is dug up). This film could be good for teenagers who won’t be bothered by the scenes mentioned in the Challenges section, and seems best suited to ages 13 and up. 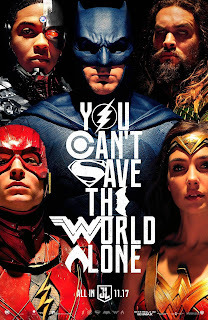 Parents could use the film as a springboard into conversations about hope and healing from loss and hardship – Superman’s childhood house has been sold, Batman has lost his parents and lives a relatively isolated life, The Flash’s father is in prison and he has few friends, Aquaman was abandoned as a child, Wonder Woman lives far from her family, and Cyborg’s body has been badly damaged – yet in spite of these losses and pains, each character joins with the others to work together effectively for good. Which character had the hardest loss? How did they recover from it? Why did the Flash join the team? Which character do you think is the bravest? How have the experiences you’ve faced in your life shaped you? What strengths do you have? If you could have any super power, what would it be? What powers do you already have? Check out our Book! Support us on Patreon!